Let's look at the news outside of the Middle East. Did you know it is monsoon season in India? Now of course there is a Semitic etymological connection. What is it? This is a bit of a balagan, to say the least! While mezuman and Sivan are connected to the Hebrew root זמן, what does wasamu have to do with it? Unless I can find a better explanation, I'll assume that the editors of the dictionary made a mistake. The CA verb yasimu/wasama "mark, distinguish" was possibly derived at an earlier period from a noun meaning "name" (CA /ism/) which can be reconstructed as a two-consonant stem for both Proto-Semitic and Proto-Afroasiatic. stamped, marked, branded), wasm (= branding cattle, stamp, mark, brand). We see a sign of this root in the Aramaic and Hebrew word for "wart, mole, mark" = shuma שומא/ שומה (see Niddah 46a, Ketubot 75a). 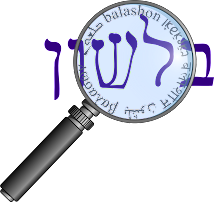 Jastrow also connects this meaning of shuma to the sense of שום, meaning "to value, estimate" and the source of the word shamai שמאי - assessor. Klein, however, says that sense of שום comes from a different Semitic root, meaning "to buy".